Is it true, the pizza maker robots will take over the work of humans? The car industry is the first step where the robots have taken over the jobs of men. 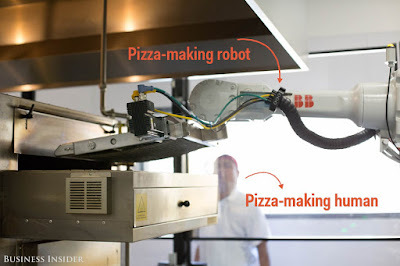 Now, there is another story of the pizza maker robots. Zume Pizza is a pizza start-up company in Mountain View, California. They used a robot to spray the sauce, flattening it, and then put the dough in the oven. And human intervention (for the moment) in the cheese-making process simply sprinkled cheese and prepare a pizza topping. 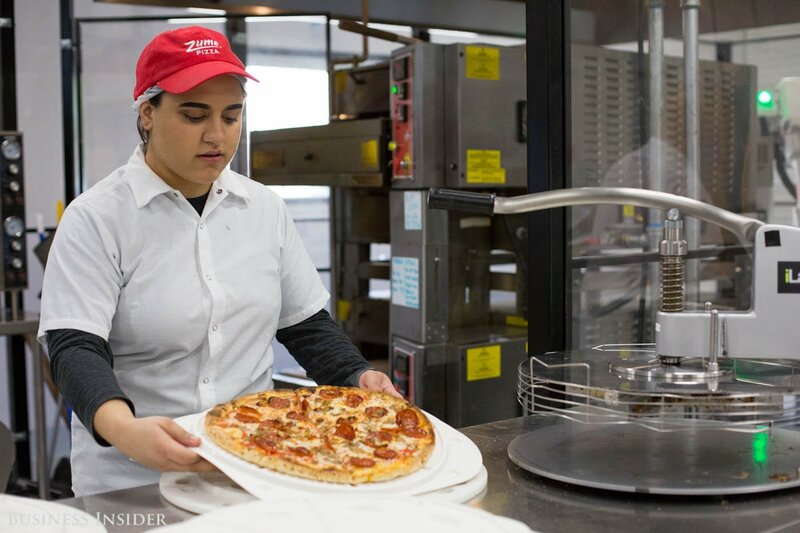 Julia Collins, co-founder and co-CEO of Zume Pizza said that the company was looking for the robots which can press and process the dough, and another robots to add the cheese and toppings. Well, maybe you could recommend one of your robot acquaintances that has experience working in a restaurant? Humans have not fully come out of this company. 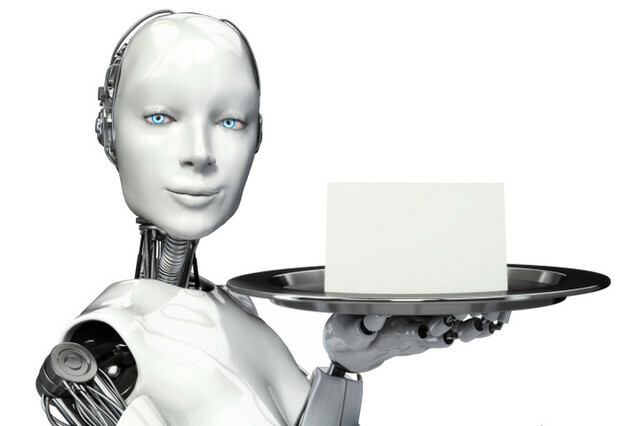 However, some people worry that the robots will take over the jobs in the food industry, Collins assured the company's attitude on this assumption. There will be no man who worked in Zume are threatened on the use of robots in the company. "It was really a promise we made to our employees," said Collins. Someone has to keep serving customers by delivering the pizza. Until now, such work is still dealt with humans. Yes, Zume was thinking about the future of pizza delivery process as well.